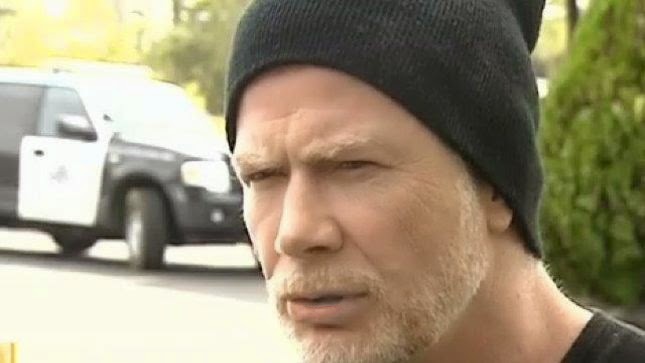 Megadeth frontman Dave Mustaine‘s mother-in-law, Sally Estabrook, has been reported missing. CBS News affiliate KFMB Channel 8 in San Diego reports that the 75-year-old, who suffers from Alzheimer’s disease, was last seen at the Pinezanita RV Park and Campground in Julian, California on October 4. Estabrook’s husband noticed she was gone when he returned from a shower and couldn't find her. "As you can imagine, they're pretty distraught," said Mustaine about how his family is dealing with the disappearance. "My wife is very, very upset. I think, with [my mother-in-law] having Alzheimer's, it complicates it so much." If anyone has information about Sally Estabrook, they are directed to call 911 or the Julian sheriff’s department at (858) 565-5200. Estabrook is 5’4″ tall, weighs roughly 145 pounds, had shoulder-length blonde hair and was wearing a teal top and white capris pants the day she went missing. Estabrook is reportedly uncommunicative, but may respond to her name.